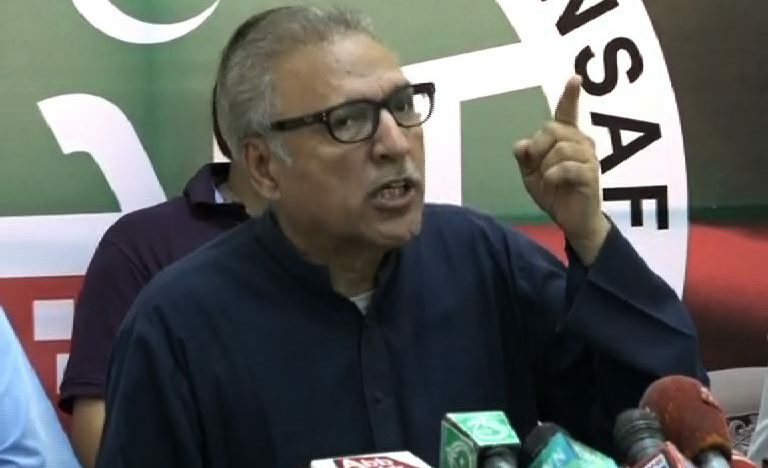 President Arif Alvi on Thursday denied that the Pakistan Tehreek-e-Insaf (PTI) government was considering a repeal of the 18th Constitutional Amendment. The president was talking to a private news channel. Furthermore, the president negated any possibility of change in foreign policy towards Israel. He said that the country has benefited from the prime minister’s visit to Saudi Arabia. “The Saudi package entails oil supply on deferred payments and ease in the balance of payment. Saudi interest in setting up an oil refinery and mineral exploration in Reko Diq is another vital outcome of the premier’s visit,” he added. Responding to a question about the National Action Plan, the president commended the role of the armed forces for stabilising the security situation of the country especially Karachi. The president also took notice of the ongoing atrocities against innocent Kashmiris in the Indian-occupied Kashmir (IoK). To a question, President Alvi maintained that the unity among people is key for achieving peace in the region. He added that Pakistan enjoys friendly ties with Iran and Turkey.